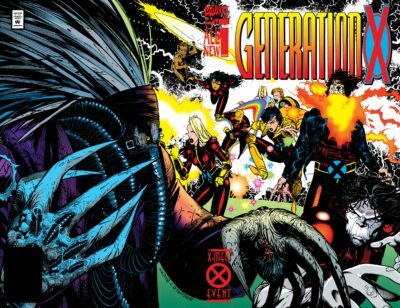 Generation X arrived on the verge of the X-Men franchise’s glory days starting to spoil in the Onslaught era. For that reason, many fans tend to write it off – or, they weren’t even around for it. Yet, the comic readers who stuck by the X-Men through the 90s know that Generation X wasn’t more of the same compared to other X-Men books of the period. A huge part of that was the Scott Lobdell and Chris Bachalo creative partnership that lasted through the first few years of the series. Generation X, Vol. 1 AKA by Lobell & Bachalo is the #36 Most-Wanted Marvel Omnibus of 2017 on Tigereyes’s Secret Ballot. Visit the Marvel Masterworks Message Board to view the original posting of results by Tigereyes, and head to my Guide to Young X-Men to see how many issues of this series have already been reprinted in collected editions. Probable Contents: This volume would certainly include Generation X #1-25 & Annual 1995, 1996, 1997, and material from Generation X Ashcan Edition, San Diego Preview, and material Generation X Collector’s Preview. It wouldn’t be surprising to also see Uncanny X-Men #316-318 and X-Men #36-37 duplicated from the Phalanx Covenant OHC. That makes for a somewhat short volume that slightly cuts off the end of the Lobdell/Bachalo run, but it marries to the Operation Zero Tolerance OHC, which begins at #26. Alternately, this book could duplicate #26-31 from that volume to include the complete works of the original creative team, also adding #-1 – pencilled by Bachalo. Either way, the remainder of the series could likely be knocked out in a single additional volume starting from #32. Creators: This run is primarily written by Scott Lobdell and drawn by Chris Bachalo with Mark Buckingham and Scott Hana on inks. An army of pencillers fill in for the year where Bachalo is away – notably including Roger Cruz and Tom Grummett. Issues #28-31, if they were to be included, were written by James Dale Robinson. Can you read it right now? No. There’s are a pair of Generation X classic trades that run from #1-11, but then you’re stuck with floppies until #26. Guide to Young X-Men covers that and all the rest of the series. It’s the same story on Marvel Unlimited – #1-11, then straight to #26. Generation X was the totally weird X-Men book that no one knew they wanted but everyone was strangely happy to have when it launched in 1994. It used to be that New Mutants was the book with the young, school-age cast and Excalibur was the oddball book full of humor. That had changed in the prior year, with X-Force focusing more on a proactive approach to preserving the mutant race and Excalibur finally being sucked into all of the standard X-Men crossover drama. That left a hole to be filled by a quirky book set at a school. That is what Marvel launched out of the Phalanx Covenant crossover, which introduced a new generation of mutant coveted by the race of techno-organic life forms. 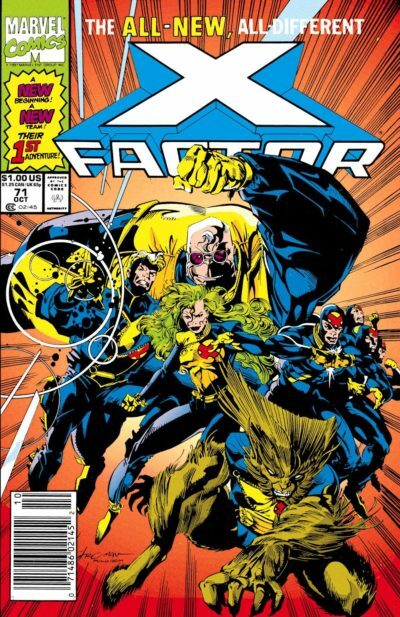 The X-Men and their various teams have gone through many reinventions in the decades since their birth, but I’d argue one of the most successful of them all was Peter A. David (PAD) writing X-Factor from 1991 to 1993. This is an X-Men run that remains as delightful for entrenched fanatics as it is for brand new readers. Even if PAD was already cemented as a household name for comic fans thanks to his lengthy run on Incredible Hulk, he was the first author to ever focus on Polaris and he turned Multiple Man into such an enduring fan favorite that he spawned another 100+ issue run on X-Factor over a decade after this one ended! X-Factor by David & DeMatteis is the #37 Most-Wanted Marvel Omnibus of 2017 on Tigereyes’s Secret Ballot. Visit the Marvel Masterworks Message Board to view the original posting of results by Tigereyes, and visit the Guide to X-Factor to learn how can you read it today. Past Ranking: Up one spot from#38 in 2016. Probable Contents: Collecting X-Factor #71-83, 87-105, & Annual 8-9 (and maybe #106 along with Excalibur (1988) #82, X-Force (1991) #38. Yes, that pushes past the PAD material. I’ll explain more below. See Oversize X-Men: A map of every existing omnibus, plus what’s missing (Part 2: 1991 to 2001) for a map of the remainder of the series. Creators: Written by Peter A. David (#71-89, with Shana David & Skip Dietz), Scott Lobdell (#90-95 with Joe Quesada), J.M. DeMatteis (#92-105), & Todd Dezago (#103-106). Line art by Larry Stroman (#71-81 with Tom Raney, Kevin J. West, Brandon Peterson, & James Bosch), Rurik Tyler, Marc Pacella, Jae Lee, Joe Quesada (#87-92 with Aldrin Aw & Jan Duursema), Terry Shoemaker, Paul Ryan, Greg S. Luzniak, Jan Duursema (#97-106 with Greg S. Luzniak, Bryan Hitch, & Roger Cruz), Chris Batista, & Mat Broome. Inks by Al Milgrom with Clifford E. Van Meter, Andy Lanning, Jeff Albrecht, Mark McKenna, Terry Austin, & Steve Moncuse. Colors by Glynis Oliver with Mike Thomas, Kevin Tinsley, Brad Vancata, Marie Javins, Ariane Lenshoek-Pinheiro, Tom Smith, Matt Webb, Carlos Lopez, and Joe Rosas. Can you read it right now? Not entirely. You can get through #92 with current collections, but then there is a gap until #106. The same is true for Marvel Unlimited. Peter David wrote the perfect first issue with X-Factor #71. We’ve reached the halfway point of the 2016 Secret Ballot for Marvel’s Most-Wanted Omnibus by Tigereyes. I covered #35-31 in the last installment. Here’s your early warning: this batch of books includes not one but three X-Men titles, and boy do I have opinions about those! Also, all five of these books placed lower in previous years. I’ve failed to say this previously, but if you have any extra intelligence to add about the probable runs or opinions about the comics therein, please leave a comment! Even when ti comes to X-Men, I don’t know (or remember!) everything about these books – and you might. The definitive, chronological, and up-to-date guide on collecting X-Men, Vol. 2 (1991) comic books via omnibuses, hardcovers, and trade paperback graphic novels. Part of Crushing Krisis’s Crushing Comics. Last updated October 2018 with titles scheduled for release through April 2019. 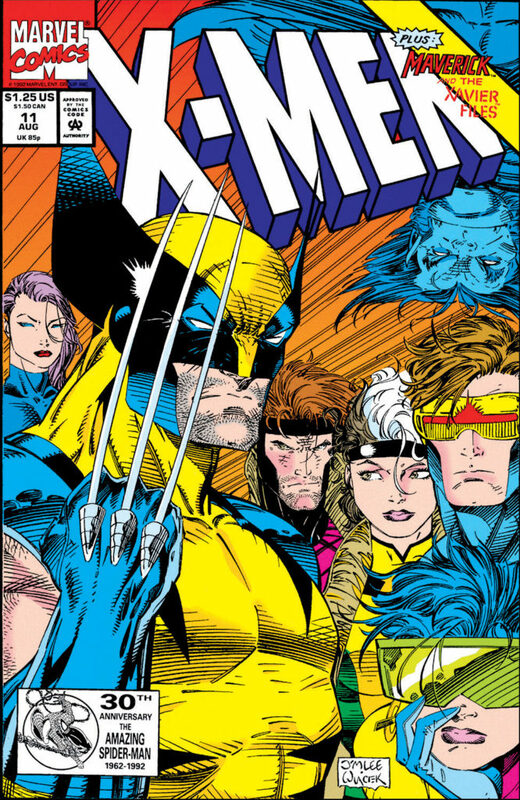 After almost thirty years with Uncanny X-Men as the core book in the X-Universe, Marvel launched a second, adjectiveless flagship X-Men book in 1991. X-Men, Vol. 2 was the biggest possible of comic blockbusters at its launch – it’s first issue remains the highest-selling comic of all time over 25 years after its release! It featured the hottest team in comics battling their most-iconic villain in a gut-wrenchingly awesome story penned by their most-celebrated scribe (Chris Claremont) and with all-new looks from the hottest artist in the industry (Jim Lee). The regular roster was even stacked with fan favorites – Cyclops, Wolverine, Cyclops, Gambit, Rogue, and Psylocke! Yet, things were unraveling behind the scenes almost before the book was underway. Claremont departed after issue #3, unhappy with Marvel’s increasing tendency to give their superstar artists like Lee the leeway while rushing writers (a subsequent brief stint by John Byrne ended similarly). Lee lasted for less than a dozen issues before leaving to become a founder of Image Comics. 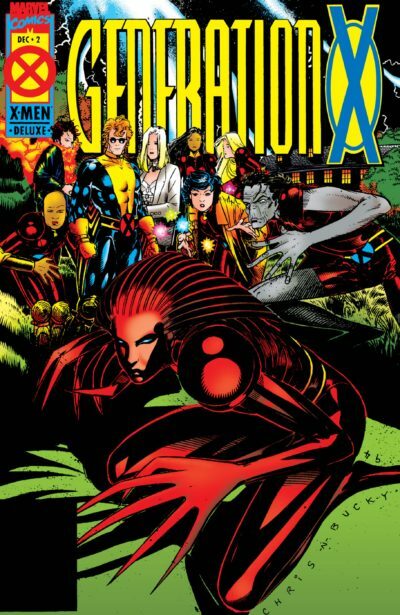 Despite the break-up of that initial creative team team, this volume remained a who’s who of X-creators – Fabian Nicieza scripted nearly half of this volume, followed by brief writing runs by Terry Kavanagh, Joe Casey, and Mark Waid. The book also sustained a strong stable of artists, with Andy Kubert helping to define the look of the early-90s era of X for a third of this run. Claremont would later return for a run, and Alan Davis both wrote and penciled an arc.